Anyone who has ever had to manage people will have come across times when people don’t perform as expected. Whether this is because they are purposefully or negligently doing something wrong (misconduct), struggling with aspects of their job or have high absence levels (capability), there may be a need to manage the situation, which will often include issuing warnings at work. Issuing warnings at work shouldn’t be too complicated, but there are pitfalls you need to avoid to ensure that the warning you issue is a legally recognised warning and that you don’t fall foul of an unfair dismissal/constructive dismissal claim for issuing warnings at work inappropriately. When are warnings at work classed as formal warnings? Managers often find themselves in situations where they may be tempted to issue off the cuff warnings at work (like the one above) to employees who underperform for one reason or another. While it’s tempting to issue a ‘verbal warning’, employers need to be aware that such off the cuff warnings at work would not be considered formal warnings that could be relied upon in any future disciplinary or employment tribunal proceedings. For warnings at work to be legally recognised, the employer needs to follow (as a minimum) the Acas Code of Practice on Disciplinary and Grievance Procedures (http://www.acas.org.uk/media/pdf/f/m/Acas-Code-of-Practice-1-on-disciplinary-and-grievance-procedures.pdf). If the employer has its own disciplinary or capability procedures that at least meet the requirements of the Acas code, they must follow them to ensure that any warnings at work can be relied upon in any future legal proceedings linked to that employee. What steps do you need to follow when issuing warnings at work? The Acas code of practice sets out the minimum requirements of any disciplinary or capability procedure that an employer has to follow, in order to be able to issue warnings at work correctly. However, many employers have their own procedures which include more detailed steps when issuing warnings at work. If that’s the case, these should be followed. In this article, we will focus on the steps set out in the Acas code, which employers without any disciplinary or capability procedure of their own would be required to follow when issuing warnings at work. The Acas code requires employers to follow a formal process before issuing any warnings at work, to ensure that they have investigated and considered the circumstances in a consistent and measured way before any warnings at work are issued. This should help employers avoid unfair warnings being issued ‘in the heat of the moment’ and help eradicate unfair/inconsistent use of warnings across the business. Before any action is taken, the employer needs to investigate the matter, whether this is a capability or a conduct issue, and establish the facts. The complexity of the investigation will depend very much on the type of allegations being made against the employee, but may include looking at documentary evidence, such as policies, departmental records, accounts, examining video evidence and interviewing the employee and other witnesses who may have evidence linked to the allegations. Some investigations may not require the employer to issue a formal warning, as it may be found that no further action is required or that the employee needs some coaching or informal approach taking to rectify any underperformance. Alternatively, the outcome of the investigation may show that there are grounds to move on to a formal disciplinary hearing, which may result in a formal warning being issued to the employee or some other sanction (such as dismissal) being imposed. Either way, the employer needs to keep the employee informed of the outcome of any investigation, even if the outcome is that no further action is to be taken. If it is found during the investigation that there is evidence to support the allegations against the employee, why can’t an employer just issue a warning? Why the need for a meeting? No warnings at work should be issued (even verbal warnings) without holding a meeting with the employee first. That meeting cannot just be a quick catch up with the employee around the table in the staff room, as there are some legal formalities that must be followed to ensure that any warning at work resulting from the meeting will have been issued correctly and be recognised legally in an employment tribunal. Firstly, the employee must be formally invited to the meeting and realise that this meeting is a separate one from any investigation meeting held with the employee under step one above. The invitation to the meeting needs to be in writing and must include details of the allegations against the employee. It must provide them with copies of any evidence gained during the investigation and which will be referred to in the meeting and must also inform them of their right to be accompanied to the meeting by a work colleague or trade union representative. The meeting needs to take place without undue delay, but the employee must be given sufficient prior notice to allow them properly to prepare (usually 3 – 5 working days, unless your own procedure provides for longer). The invitation must also set out what a possible outcome of the meeting could be. So, if a result of the meeting could be that the employee is issued with a written warning or could be that they will be dismissed, then the invitation letter needs to say this. Ideally, a manager who has not been involved in the investigation should hold the meeting. They should hear evidence from the investigation, alongside listening to the employee’s case, before adjourning to decide upon what action, if any, to take. After hearing all the evidence from both the investigation process and the employee, the hearing manager needs to decide what action to take, if any. 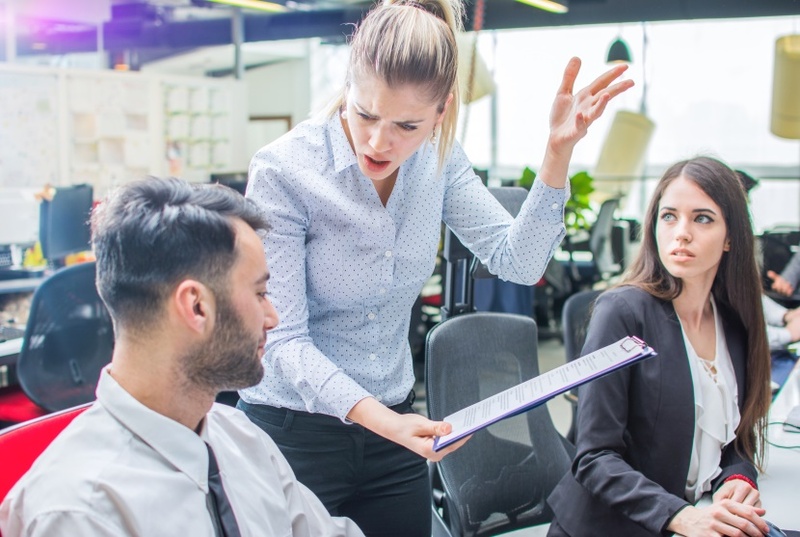 Before issuing any warnings at work, managers should consider what other similar issues have been encountered across the organisation and look at what warnings have been issued in similar situations. This provides some consistency in the levels of warnings at work that are issued - so, for example, Johnny in accounts isn’t dismissed for being late three times, when Rita in sales was only issued with a written warning last month for the same thing. When deciding on what warnings at work to give, employers should refer to their disciplinary procedure that may provide guidance on what type of situations warrant particular levels of warning, along with examples of things that may be considered gross misconduct and which would not require any previous warnings at work before being able to dismiss the employee. The level and duration of warnings issued by employers can vary depending on the provisions in their own procedures. Some disciplinary procedures include ‘verbal warnings’ which have to be issued following the same procedure as outlined above and which, despite their name, should still be confirmed in writing. Others have chosen to drop the verbal warning from the process, due to the fact it causes confusion with managers, who issue them incorrectly and without following the full process set out above. To comply with the Acas code, all procedures must at least provide for first written and final written warnings at work and set out the timescales during which warnings at work will be considered as being ‘live’ after they have been issued. Those timescales must also not be unreasonably long. It’s important that employers check their own procedure before issuing any warnings at work and whether any previous formal warning issued to the employee is still live. If you are considering issuing a final written warning because the employee has previously had a first written warning for misconduct, then you need to make sure that that earlier warning hasn’t expired. Once a decision has been made about what warning to issue, the outcome of the meeting must be communicated to the employee (usually within a set timescale specified in the disciplinary procedure, but in any event without unreasonable delay). The employee must be informed in writing of any warning issued and of the date it will expire. In addition, this letter must include details of the employee’s right of appeal against any decision made and who to appeal to. If the employee does appeal, then an appeal hearing must be held within a reasonable timescale and, whenever reasonably possible, that hearing must be conducted by a different manager than the one who held the earlier disciplinary hearing. In summary, issuing warnings at work is not as straightforward as you might think and there are key steps any employer must take to ensure any warning they issue is legally recognised. Better to be warned about this, than get it wrong and find yourself facing a claim!